“The price paid for carcasses of good conformation (high meat yield) from the suckler herd tend to be inadequate relative to carcasses with lower meat yield,” he claimed. “It is worth pointing out that the bone content of a U3 steer carcass would average only 16.8pc, while an O3 would be 21.2pc. The O3 would also have more fat,” he explained. “As a result, the lean meat content of the steer carcasses in the Grange study were 66kg/100kg for O3s and 73kg/100kg for U3s. 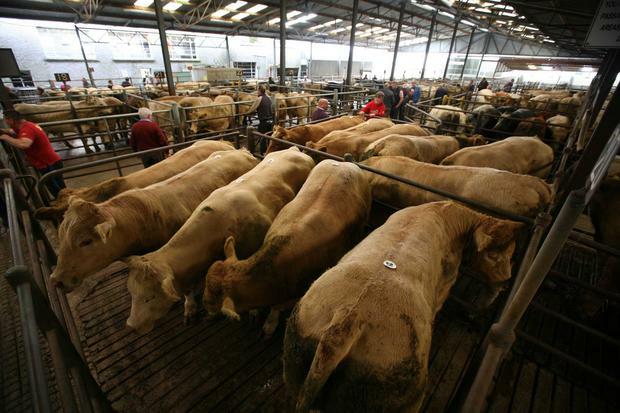 While the UK differential was below Ireland’s, Mr Drennan pointed out that the average UK price for U3 animals was 9c/kg higher than the Irish price. UK, France, Italy and Germany.